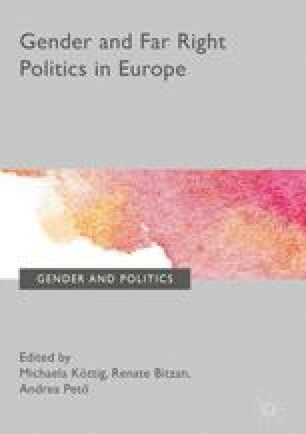 This is a descriptive comparative analysis on the usage of gender in the construction of Muslims in 2006–2007 in four Swedish publications—the liberal Dagens Nyheter, the Evangelical Dagen, the fundamentalist Världen idag and the neo-nationalist journal SD-Kuriren. Världen idag and SD-Kuriren tend to describe Muslims and Islam as threatening, aggressive and the cause of social and political problems. Muslims are associated with negative behaviour. Dagens Nyheter and Dagen avoid describing Muslims and Islam as a threat and more often seek constructive solutions to different problems. Dagens Nyheter describes conflicts between Muslim and Christian actors in political, not religious, terms. Dagen sees Muslims and Christians alike as victims of secularization. Gender is used relatively infrequently as an instrument to construct this image of Muslims and Islam. This is a revised version of ‘Images of Muslims and Islam in Swedish Christian and secular news discourse’ in Media, War & Conflict, 2015, Vol. 8(1) 20–45.